The report is said to be nearly 400 pages and cover subjects ranging from questions about Russian interference in the 2016 election to whether President Donald Trump committed potentially impeachable offenses. 1. What is the Mueller report? The report is a summation of the findings from the special counsel investigation. It is expected to contain the details of the investigation, from its interviews with key witnesses and other evidence amassed throughout the process and the Mueller team’s conclusions — or lack thereof. 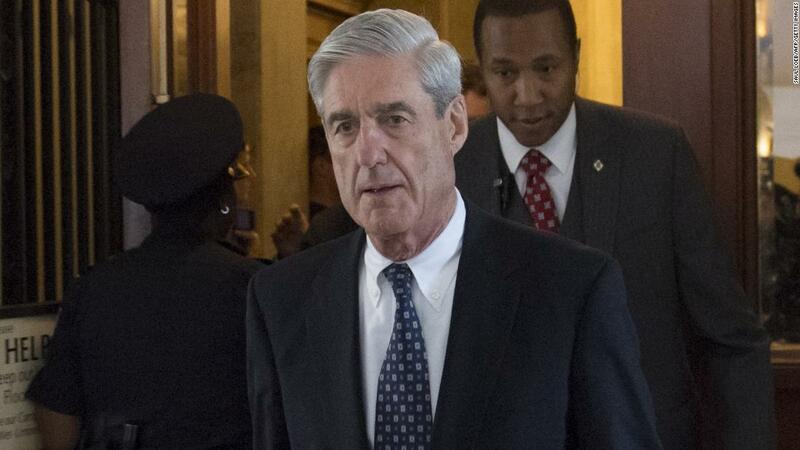 Mueller is a Vietnam veteran who went on to have a lengthy legal career and rose through the ranks of the Justice Department before becoming FBI director under President George W. Bush — days before the attacks of September 11, 2001. When his 10-year term came to an end, then-President Barack Obama asked Congress to allow him to keep Mueller on, and Congress obliged unanimously. He stepped down from the FBI in 2013, and was succeeded by James Comey. Mueller’s selection as special counsel was met at first with bipartisan praise, although as the investigation wore on, he became a regular target of Trump and his allies. The FBI under Comey opened the counterintelligence investigation into Russian meddling and potential collusion in July 2016, way before Mueller came onboard. The probe was started after the FBI received information from a foreign diplomat that a Trump campaign aide knew about Russian hacks against Democrats months before the stolen emails showed up on WikiLeaks’ website. When he was appointed, Mueller took on the question of Russian interference, along with his other mandates mentioned above. Trump consistently denied that he or anyone on his team colluded with Russia to interfere in the election, and he has rejected further the intelligence community’s conclusion that Russia attempted to interfere in the election at all, including while standing next to Russian President Vladimir Putin shortly after Mueller’s appointment. He likewise denied the possibility he had obstructed justice. Throughout the process, Trump railed against Mueller and Mueller’s team, accusing them of political bias and maligning both the intelligence community and Justice Department more broadly. 7. Wasn’t this released already? 8. Who’s releasing the report? According to Barr, however, a few main points should be clear in the report. One, the Mueller investigation did not establish that there was a criminal conspiracy between any Trump campaign associates and Russian officials to interfere in the 2016 election, Barr said. He also said Mueller’s report goes through in detail about whether or not Trump obstructed justice, but the report does not make a final conclusion on the matter either way. Barr said he and Deputy Attorney General Rod Rosenstein determined the evidence was “not sufficient” to support obstruction. No. Barr will redact, or black-out, some portions of the report in order to comply with a handful of federal laws and internal Justice Department guidelines. Barr laid out four categories of redactions: Grand jury material, classified information, details about ongoing investigations, and information that harms the “privacy and reputational interests of peripheral third parties.” They will be color-coded as well. For Mueller, he can finally pack up shop and return to the private sector if he wants, though he might be asked to testify on Capitol Hill. For Barr, he’ll likely be facing subpoenas and lawsuits from House Democrats who want to pry loose the unredacted report. For Trump, he can move on from Mueller, but his world is still under scrutiny by federal prosecutors in New York, who are looking at his business empire and his inauguration fund.